You have probably realized already that most news and magazine websites are biased, especially when they include political news too. This is when you decide to come up with your own realistic source of information. Or maybe you want to cover a niche that is not properly researched, such as gossip or science. All in all, if there is one thing that most news websites have in common, that is the overcrowded design. The general idea is simple to understand. You need a website that provides as many titles as possible in one page, without the guests to click too much. However, you do not want it to be too crowded either. What do you do then? When it comes to creating a news site, it should be well-designed, professionally made and reliable. News sites come and go but some were able to manage their websites very well and become popular. One of the popular sites in tech news is the Verge. It was launched less than three years ago and dominated tech news with millions of visitors. 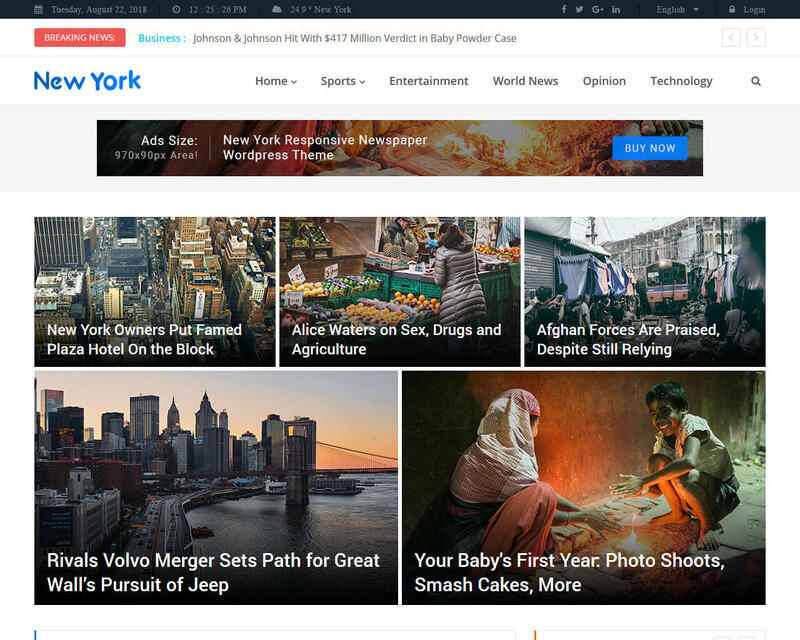 News sites like Forbes, The New York Times, Engadget, Forbes, CNN and others that use some of the templates in this list were able to maintain their popularity for many years. These sites use news and magazines website templates that can handle millions of monthly visitors. The templates listed below will help you develop a site that will provide the best user experience. Thanks to these templates, you can build your blogs and news sites fast and easy. Bloggers and web authors can use these platforms for any news niche like politics, games, technology, gossip and a lot more. 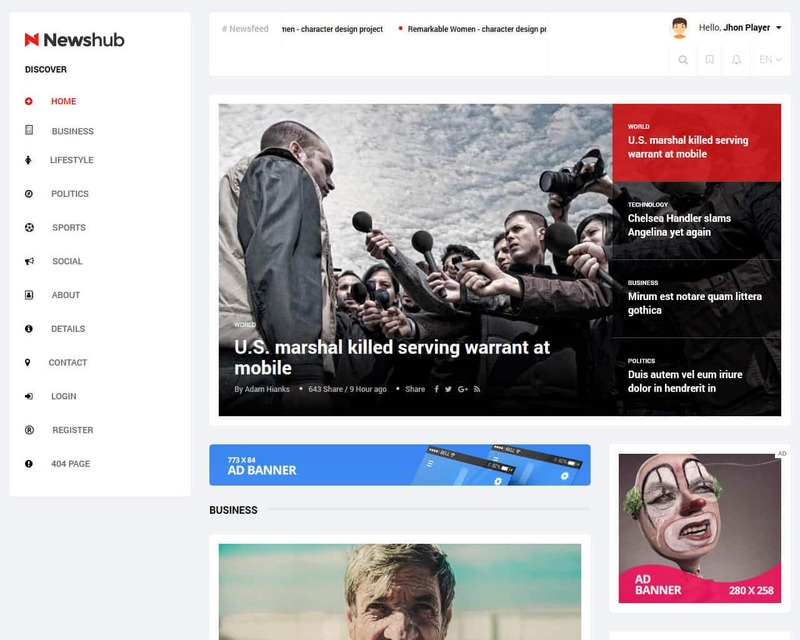 These themes are highly customizable with dozens of fonts, a wide selection of colors, custom widgets and most of them have a built-in drag and drop page builder to create a professional and unique news portal. News 24x7 is an example of a great template that will work efficiently for any TV channel, magazines, and newspaper. This platform has a very versatile design that you can use for different purposes in small or big companies. The template has four different eye-catching header designs, lots of awesome icons, five homepage styles, free fonts and a lot more. News 24x7 news and magazine template with lots of features to help you build a unique and outstanding news portal. This template is designed with Bootstrap 4 framework, unique home variations, Owl Carousel and a lot more. News 24x7 offers 5 home variation with 4 different header layout and multipage design. Other features include Twitter Bootstrap 3, isotope, Google web fonts, stylish news page, working contact form, well-documented and a lot more. This template is easy to customize and user-friendly. 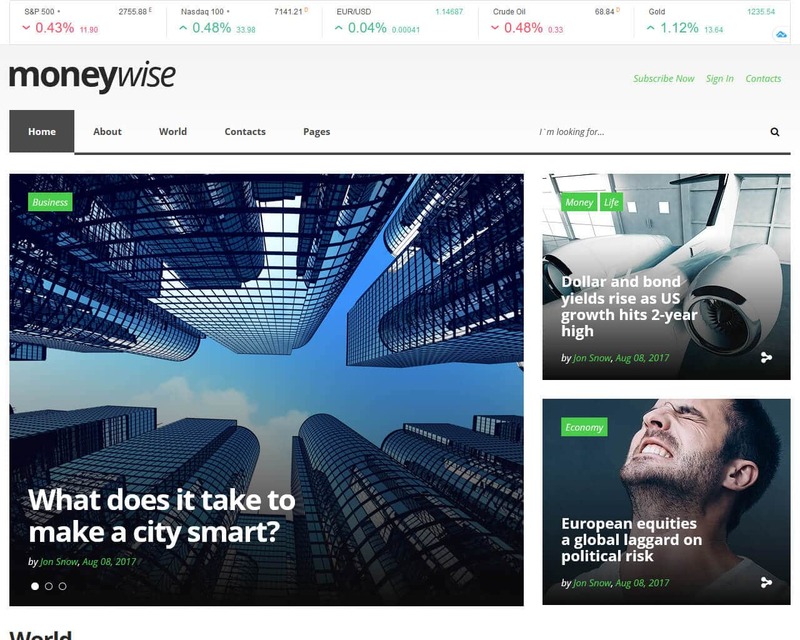 An admirable multipage website template designed for promoting professional financial magazines. It has a well-organized layout that allows presenting your content in a logical way. Without a doubt, it is not the least important thing for a website that has something to do with finance. Lots of pre-made HTML pages are made to showcase a news portal in little things. Make use of multiple content types and provide people on the latest news regarding your topic. In addition to this, each of visitors can subscribe to your newsletters. This means that they will get your updates one of the firsts. If you want to share some more information, you can pay your attention to About page. It allows posting both essential and interesting facts about your magazine. There are not all options that this template comes pre-loaded with. 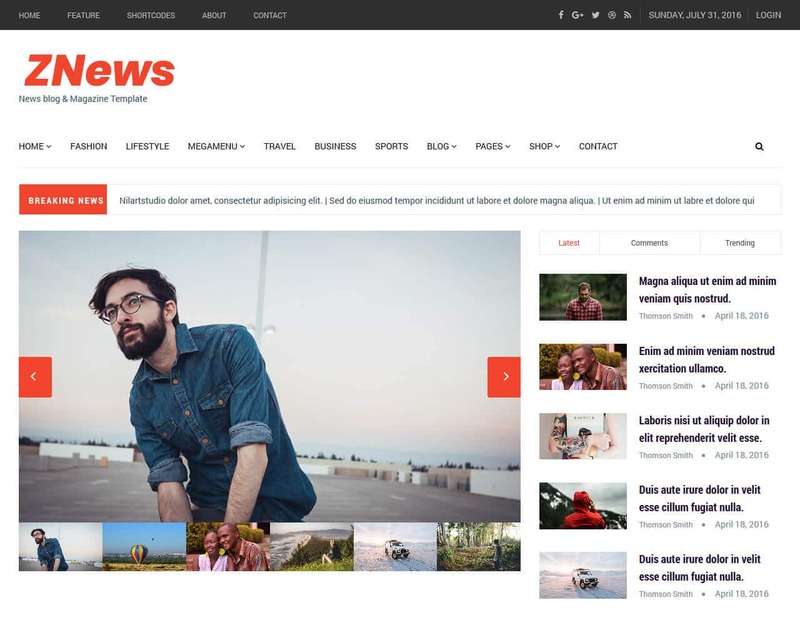 NewsToday is a modern and minimal looking news and magazine template. It can help you build a reliable news portal that can be viewed on any device and on any screen resolution. 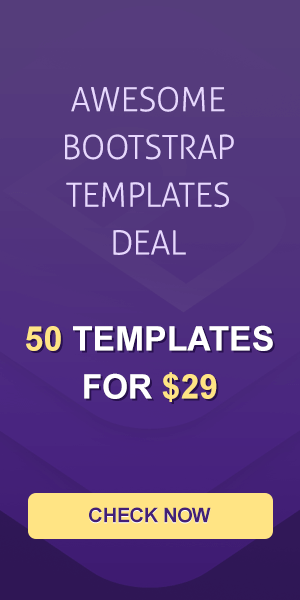 The template has been designed within the latest bootstrap framework. It is supported with GULP and SASS which is perfect for customizing and developing. Included in the package are set of amazing features like responsive magazine/blog layout. NewsToday is a link-rich template that can help increase your site visitors three times more. This is recommended for creating news, magazine, newspaper, review or publishing site. You can choose from the three homepages included in the package. Other features include Google fonts, Google map, W3C valid mark-up, free updates, and more. It is compatible with browsers like Chrome, Safari, IE10, Firefox, and Opera. The template is well-documented and easy to customize according to your preference. Getting to the top is possible with NewsToday template. Viable is a contemporary blog and magazine template with a simple and clean design. The template is equipped with 6 types of post formats. It is designed with blogging in mind. The developer of this template has crafted different layout variation for single post pages, search pages, home pages, archive/list pages, other template components like breadcrumbs and pagination. When it comes to custom widgets at footer and sidebar, front page this can be termed as feature rich blog and magazine template. It has 23 pages with CSS written and well-documented mark-up in SCSS syntax. You will definitely love it. You can choose from 7 home pages this template offers. Other features Viable has to offer includes 404 page, nothing found the page, typography setup page, 4 banner/slider variations, 4 header variations, 2 featured category variations and a lot more. The template is designed with the most popular layouts such as list, masonry, and grid. You can switch from dark to light header and footer layout easily. 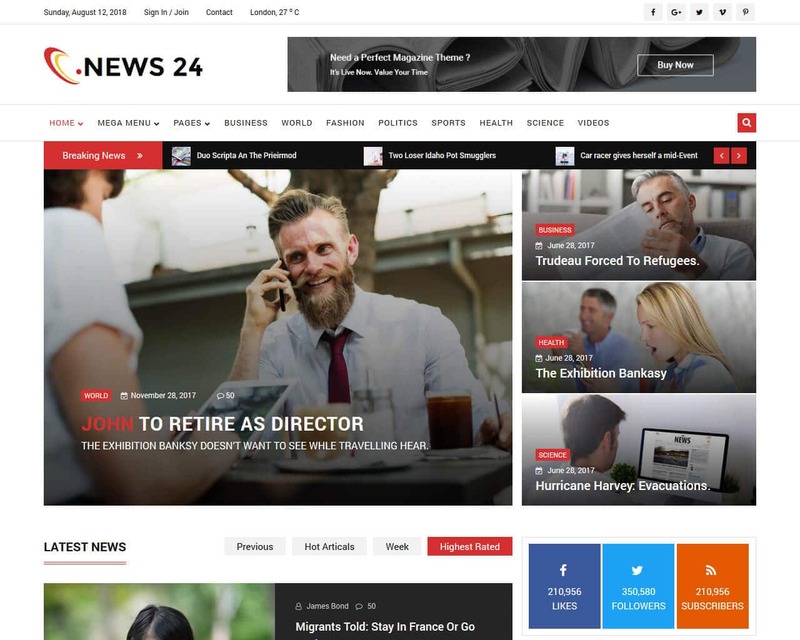 Most of the news and magazines templates have a clean, unique and creative platform and so is News 24. It is your perfect partner in creating your news/magazine portal. 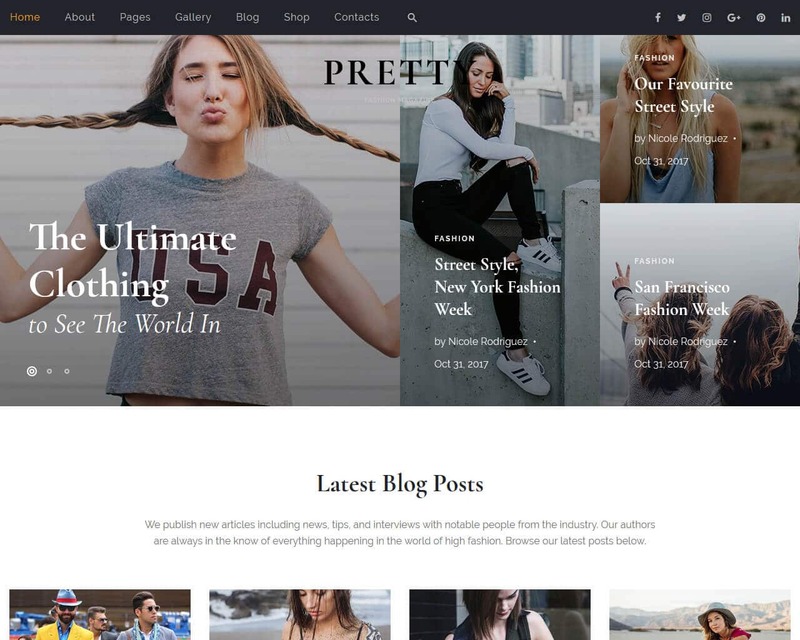 This template is also effective in developing websites like sports, science, politics, blog, style, health magazine, fashion, soccer, travel sites and others. This template is designed using JQuery, CSS3 with W3C validation. It includes everything you require for a news/magazine template. News 24 can provide a very functional magazine portal. This template behaves and feels like a custom-built news/magazine theme. Customizing your site using this platform is very easy. All you need to do is to add the information and your content, News 24 will do the rest. It comes with an easy to use options page. With this straightforward template building, a website is now stress-free and less complicated. If before you need to start from scratch in developing your site, today all you need to do is to add the images, content and your business information in the template and you are all set. The name of this fashionable template speaks for itself. It has an incredibly voguish look that should impress the imagination of every single person. It allows various fashion magazines to stand out and get more excited readers. A fast and well-organized interface is extremely easy to customize and work with. Multiple header and footer layouts allow you to find the best fit for your brand. A great collection of 30 ready-made HTML5 pages allow playing around with your future design. It does not matter what aspect you want to show off. You will always find something that will cover this or another purpose. As you can understand, it is possible to breathe a new life into your ideas together with this template. It is not all. This stylish template hides even more functionality that you can even imagine. This modern newspaper and magazine template is a perfect multipurpose platform for magazine, blog and newspaper websites. 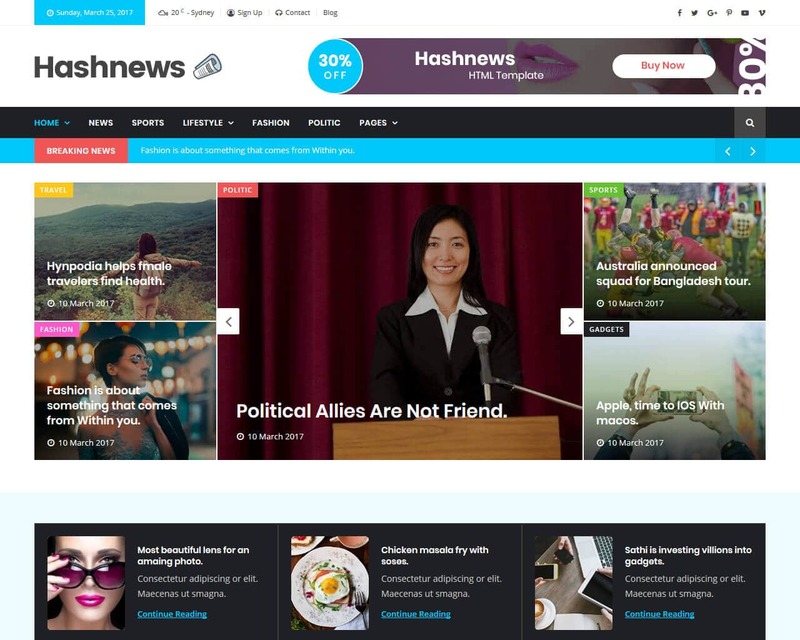 Your website designed using Hashnews ensures flawless adaptation of your portal to any resolution and screen size. This template comes with creative, exceptional and smart design layout. You will not have a hard time creating your website by using this template. It is a ready-made platform for magazines and blogs. 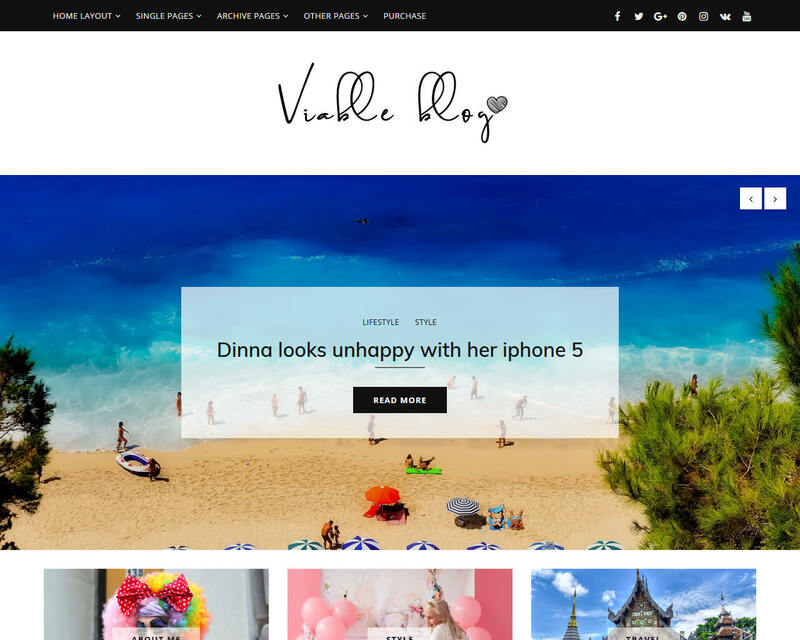 Other businesses like lifestyle, gadgets, foods, fashion, politics, travel, sports and a lot more can use this template in creating their websites. The template includes 3 homepages together with 4 post styles, blog details, post details, and contact. It also has multiple header and footer layouts. You can modify the feel and look of your website easily because of its user-friendly design. This news and magazine platform is built with the semantic and valid code which makes it easy to use even if you are a non-technical individual. 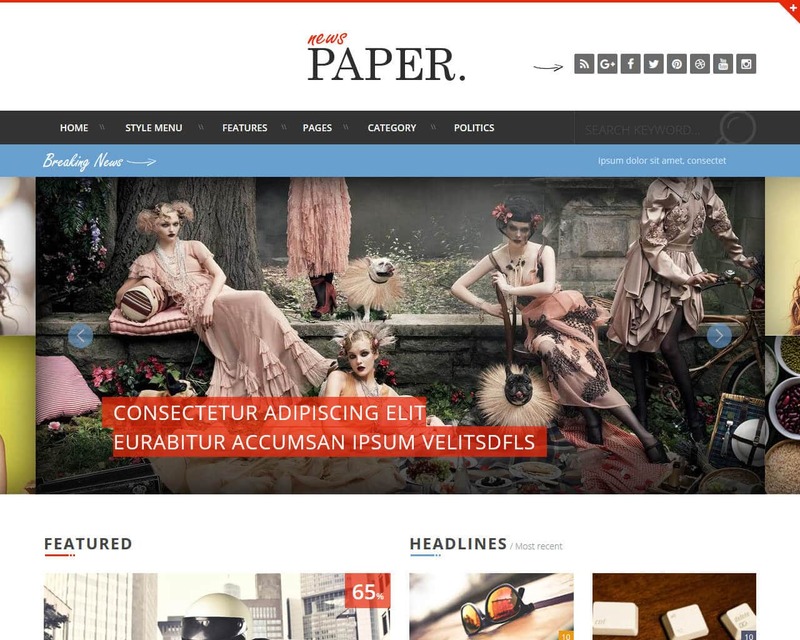 NewsPress is a stunning website template designed mainly for newspapers and blogs. Because it was developed with Bootstrap 3, this template is very responsive and viewable in any device and screen resolution that your visitors may use. You can customize your website with ease and fast using the different elements to create the best platform where you can share vital news all over the world. It is a contemporary and creative news template which is recommended for blog, news, and magazine websites. NewsPress offers 5 different homepages with drop down menu and mega menu. It is equipped with a full box layout, 3 listing page variations, font awesome, 404 error page, popup newsletter, clean code with comments, CSS3 animations and transitions and a lot more. The best thing about this template is that you don’t have to start from scratch. Just add the information and details you want to include in your website. 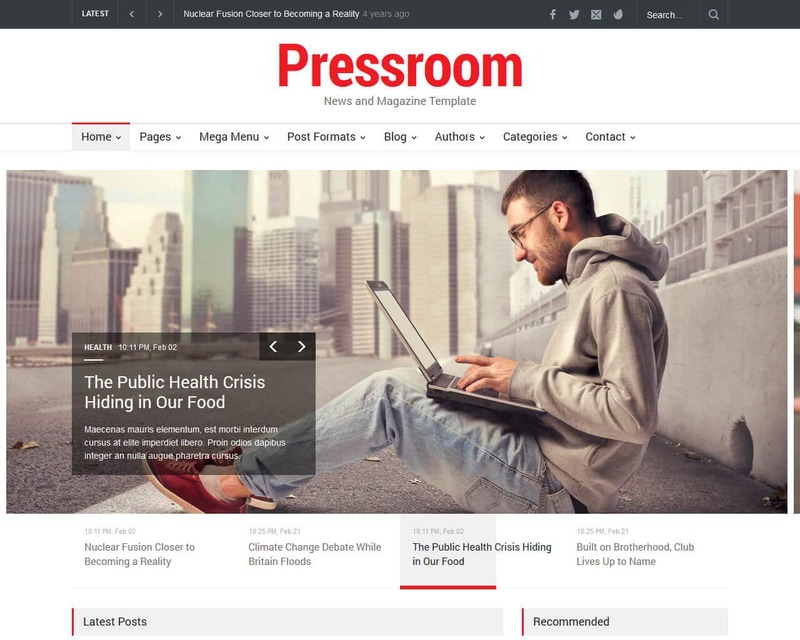 Pressroom is a template perfect for newspaper, review, news or magazine sites. To make sure each element of the template can adapt any device and screen resolutions, it is tested to modern tablets and smartphones. This template includes a wide and boxed layout with 15 pre-defined header styles and sticky menus. It is available in dark and high contrast color skin for those visually impaired individuals. The template also comes with seven different homepage layouts that you can choose from. Pressroom 10 different post type layouts like the review, video, gallery, or SoundCloud audio post types are also included in the package. The template has mobile friendly built-in sliders and carousels. It is also touch sensitive on gadgets supporting touch events. A boxed layout is also included in this template, this enables you to use different background image or pattern with or without overlay layer. You can choose from the different color skins this template offers. Just like other news and magazines template the DailyNews fits any screen resolution and any device. The website is optimized for any screen size from small to the largest. It is designed so your visitors can access your website using their smartphones, iPad, iPhone, and tablets. What can you expect with DailyNews? It offers 3 different blog pages, 2 category pages, slider on the homepage, 3 different post gallery, and 4 column footer side bars. These features can help you a lot in developing a rich news portal or unique magazine site. Also, it has an attractive drop-down menu, eye-catching hover effect, add space on the header and footer, right sidebar, sidebar on the homepage, social buttons and sidebar newsletter to complete the look of your stunning news site. With this template, you can create not just an ordinary site. It will be something that will stand out and will help you reach the top of the search engine. Building a news website is a less stressful task if you use the right template. 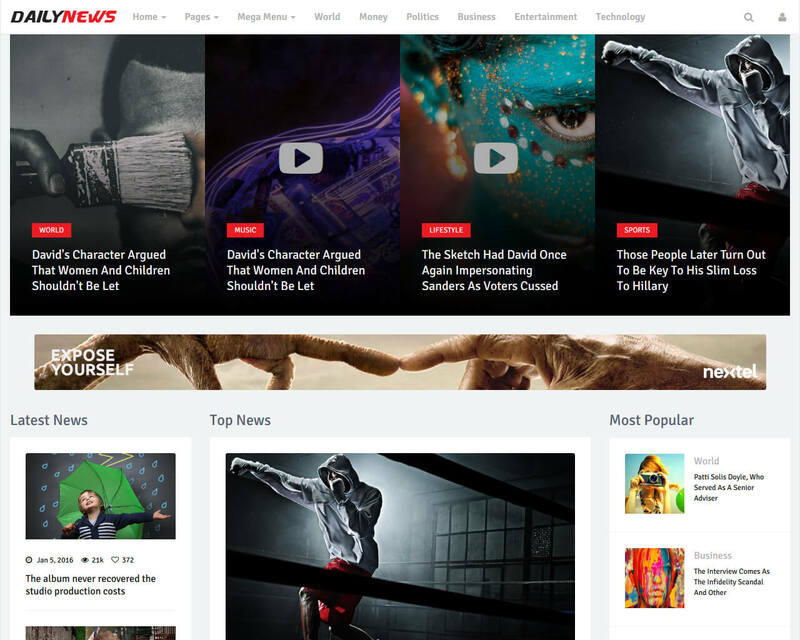 Znews website template is recommended for those who are into blogging, news and magazine, reviews, and others. This template is a plugin of news equipped with multimedia options. You can easily configure video from Vimeo, FLV, YouTube and MP4, audio, image and content using the WordPress editor. It features touch swipe, responsive layout, and drag and drop menu. Znews theme is compatible in browsers like Chrome, IE10, Safari, Opera, and Firefox. You can choose from 5 color skins and one new skin. It is equipped with CSS3 animations and can be accessed in any device and in any screen resolution. Customizing the template is easy because of its touch swipe and drag features. If you feel you need to rearrange your tabs simply touch and drag it to the section you want. This template is full of new helpful features. 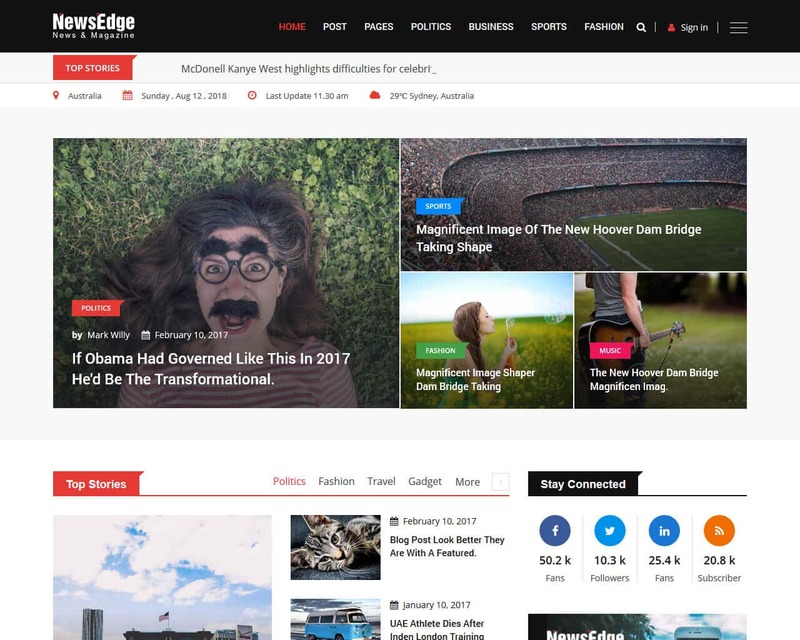 NewsEdge is one of the premium templates for news and magazine websites. This theme is designed with bootstrap frameworks with a neat and modern look that most people gets attracted to. You can build a fresh website with it or redesign your existing one. Your team will surely enjoy the latest style of your portal after making some changes. It is most likely they will share your content more and make your portal bigger and greater. You will definitely see great results after you add helpful and informative articles and impress people with its web design. You can also decide which among the seven predefined front pages you will use and begin customizing and improve your layout accordingly. No need to worry, it includes an easy to understand coding which makes editing easy and help you build your dream website. The template includes more inner pages along with quick customer support and different headers. 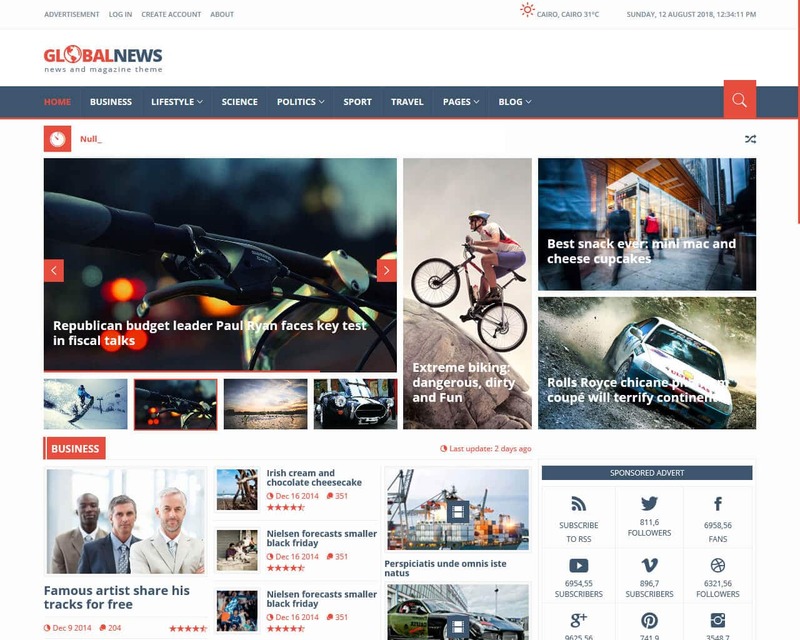 If you are looking for a high-quality website template with a great focus on design and functionality, NewsTimes is a good choice. It is recommended for any sort of magazines, news or blog platforms. Because it provides lots of customization options in layout, posts, and widgets, these things are very helpful in building your website. You will be satisfied with the outcome of your effort using this template. The template is flat, super flexible, very responsive and clean platform. It will help if you post helpful and informative articles to increase your visitors. The good thing about this template is that you don’t have to start from scratch. 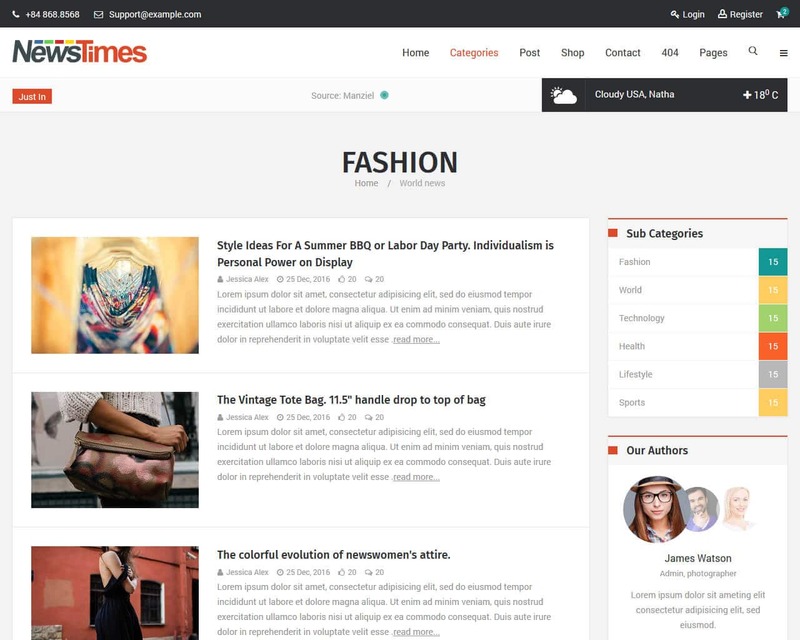 NewsTimes is a ready-to-use template, all you need to do is to add the information and details you want to include in your website. Other features include well-commented code, Google web fonts, JQuery enhanced effects and slider, contact form and based drop down navigation. Looking for the comprehensive template? 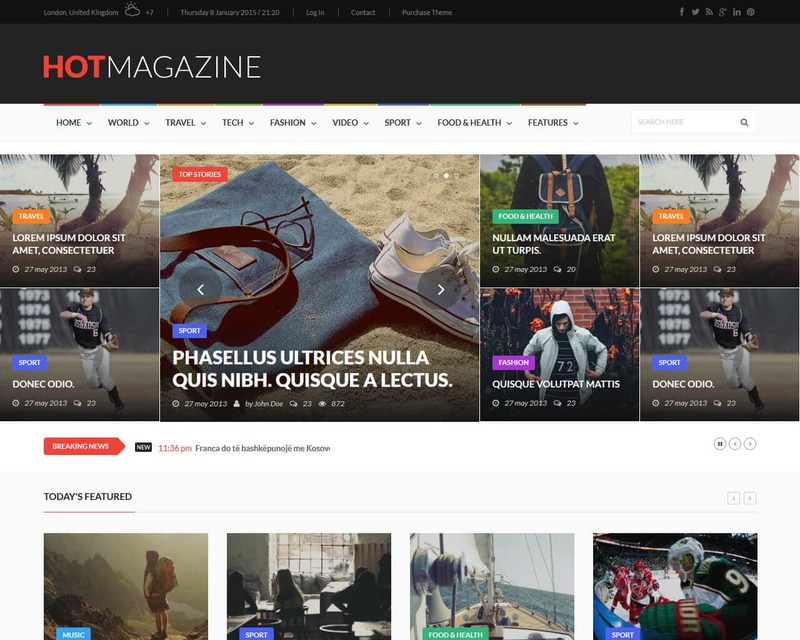 Hotmagazine fully responsive template is perfect for your needs. It is perfect for a news website or in the fields like fashion, games, sport, tech, dark, showbiz, design, technology, videos, blog, travel or politics magazine. It has everything needed to include in the magazine template. Hotmagazine can develop and design very elegant and contemporary template which is easy to customize. You will be able to develop a very functional website. The template includes 11 different versions, 6 different homepage layout, 8 different single posts layouts, over 40 pages including the forum pages, login, coming soon page, author pages, under construction, and others. You can easily access the website using any device and any screen resolution because of its retina ready feature. The template includes smooth CSS3 animations, working contact form, Google map, font awesome, easy to customize and well-documented. You will be able to create an impressive news website that will help you promote your pages. This is a fully functional website template with a modern layout. It makes use of modern design elements and clean fonts. The image slider has transition effects with a clean and attention-grabbing design. With this template, you have the option to add a review to the news with a star rating web component. A sponsored ad can be added, a calendar widget and social media widget. Global News lets you embed video and audio content fast and easy. You will find the subscriber form option in the footer together with popular tags widget. This multi-functional template is focused on images and content, having the typical newspaper design. 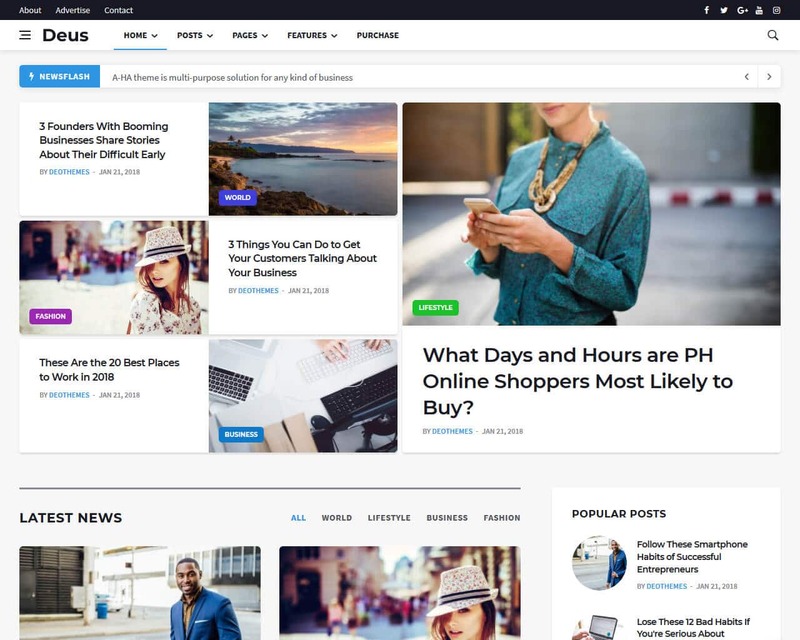 Most of the time news themes are hard to customize and hard to handle, thus this template is built with custom features and more admin options to provide flexibility. Before launching GlobalNews it was tested and tried using various devices and screen resolutions. It does not matter how detailed and comprehensive a magazine, newspaper or book may be, the competition is stiffer online. With the digitalization taking over every business magazines or editorial are not exempted on this. This means that more and more businesses are joining the bandwagon of getting online. While there are lots of platforms you can use to start up, the RT Magazine is one of the templates that is equipped with all the features you need in building your website. Even those who are not into news and magazines can use the RT Magazine template for their website. It offers an exclusive collection of different designs that you can choose from. 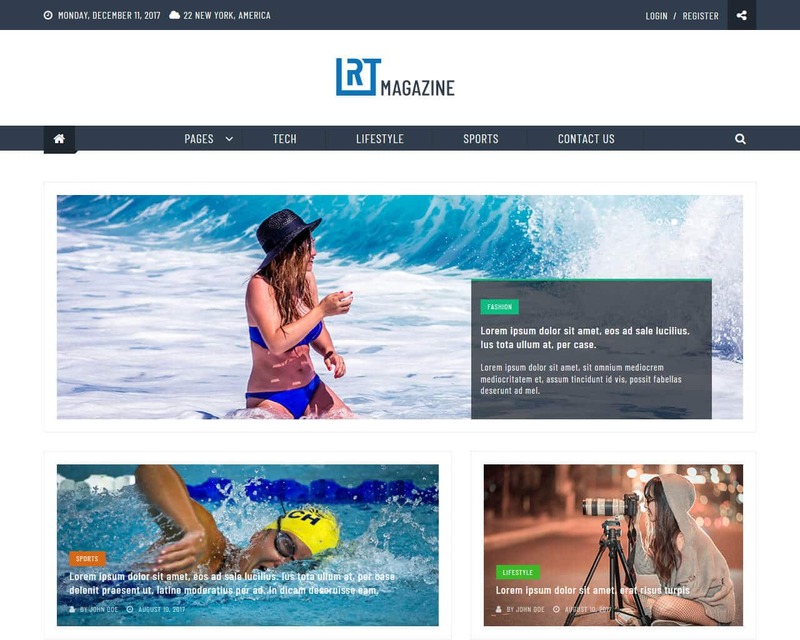 RT Magazine is a flexible, completely responsive and dynamic template that you will never want to switch to any other platform. With this template, you can build a website that will keep your users engaged for several hours. It has colorful and easy to customized layout which makes your portal very attractive and attention grabber. It is extremely easy to use which means you don’t need to be an expert in coding to use this template. Do you have plans of creating an online fashion magazine or news site? Deus is a ready-to-use template designed exclusively for individuals like you. 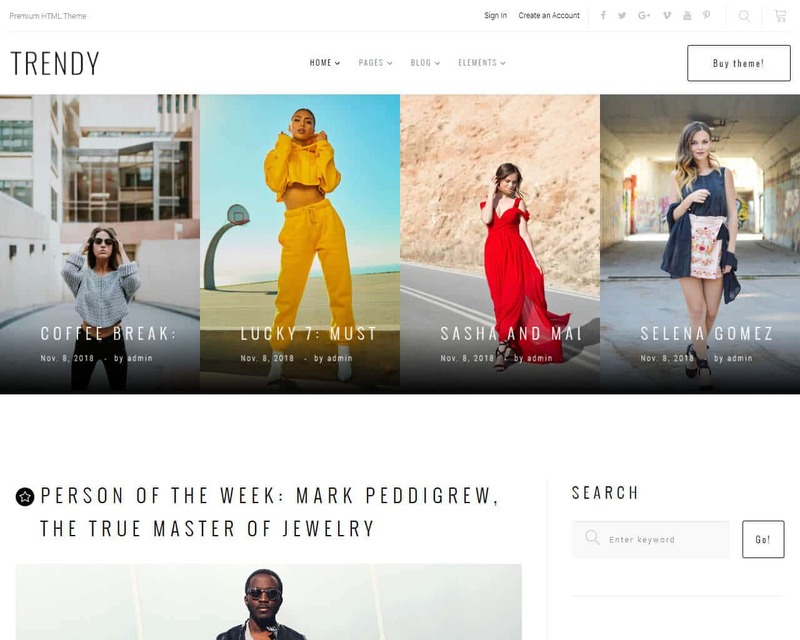 It is a clean, modern and minimal fashion website template for building online news and magazine sites. This template is a multi-niche tool that suits any industry perfectly. When it comes to fashion and everything associated with it, Deus can help you create a unique website. Deus is cross-browser compatible and mobile-ready for your news site to work on any framework smoothly. There are lots of reusable web elements at your disposal to modify and edit Deus it does not matter how fancy you want it to be. You can easily add your personal touch on it and create something extravagant. The template supports various types of posts and is powered by the latest Bootstrap framework. After putting together all the information and details you want to include in your website, you will be surprised at the outcome. Searching for the best user-friendly theme for your magazine website is not an easy task. Luckily, Newspaper could be all you need to create a high-traffic website, like magazines and blogs that are usually posted on different channels. This amazing news and magazines template presently has more than 56,000 happy customers. You can create the layouts in two different ways either through the well-crafted TagDiv composer page builder or with the actual composer plugin, which is included in this theme. If you want to create a website fast, you can choose from 50 unique pre-designed demos. It is as easy in building a website with Newspaper template. Your visitors can browse your website using their preferred device. To modify your design easily, the built-in template includes lots of options that lets you fine-tune your site to your requirements. Also, Newspaper includes many ways to monetize your site, and it is completely optimized for Google AdSense. If this is not impressive enough for you, the template also has more than 40 social media integrations. This will enable you to share your posts on different platforms. Also, the Newspaper is a fast template, optimized for speed and very flexible. News will keep us updated on what is happening around us. Most people are checking the web to know what is going on around the world. Because of this, the competition among news channels and websites are getting stiffer. That is why you need to create an impressive and reliable news website. 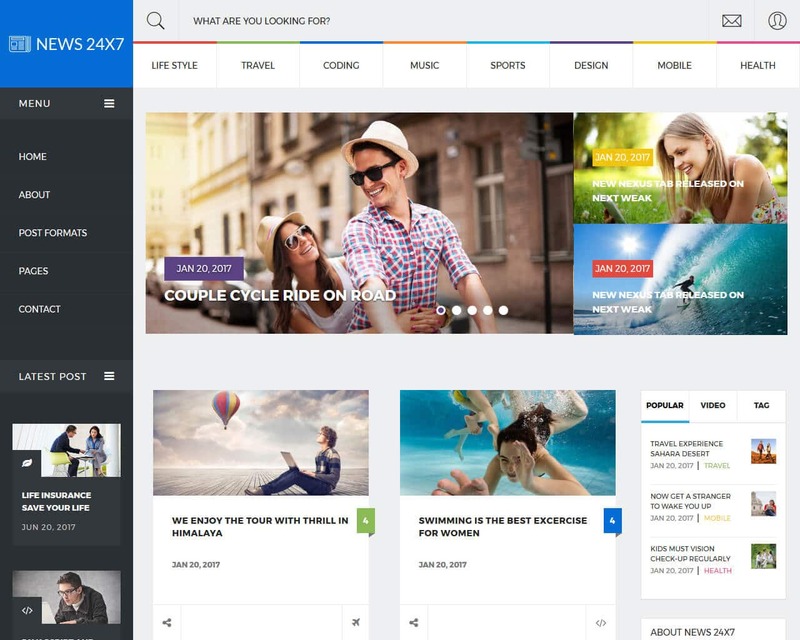 King News template can help you build such a website since it is a multipurpose website template. This template has more than 30 ready-made pages. The UI kits usually include the user interface components that send meaning and offer functionality to users think buttons, checkboxes, navigation buttons, widgets, and progress bars. King News is a multipurpose website template that provides several header footer facility for your news website. Also, this template has multiple widgets which you can subscribe to any social network. Other amazing features of King News include transition facility, W3C valid, CSS3 animation effects, and responsive layouts which is SEO friendly and well-commented as well as other helpful options. This one-page multipurpose flat template has a clean, professional and flat design. Trendy news template is designed not just for news and magazines but also for agencies and creative studios. It can be customized based on your requirements easily. You can add the information and details you want to include in your sites. Trendy has a clean flat grid system with fancy style and has an incredible design that can inspire and attract more visitors. It will only take you a few minutes to complete your website and thus give you more time focusing on the content. Those with less technical skills or new in web designing will not have any difficulties using the template. Luckily, this one-page template has the drag and drop feature. Just click on the element you need and drag it on the section you want it to add. You can upload a static image or slider having a parallax in the top part of this template. Your website will look gorgeous on the screens of any device small or big. To boost your presence online, you can use its built-in SEO tools. 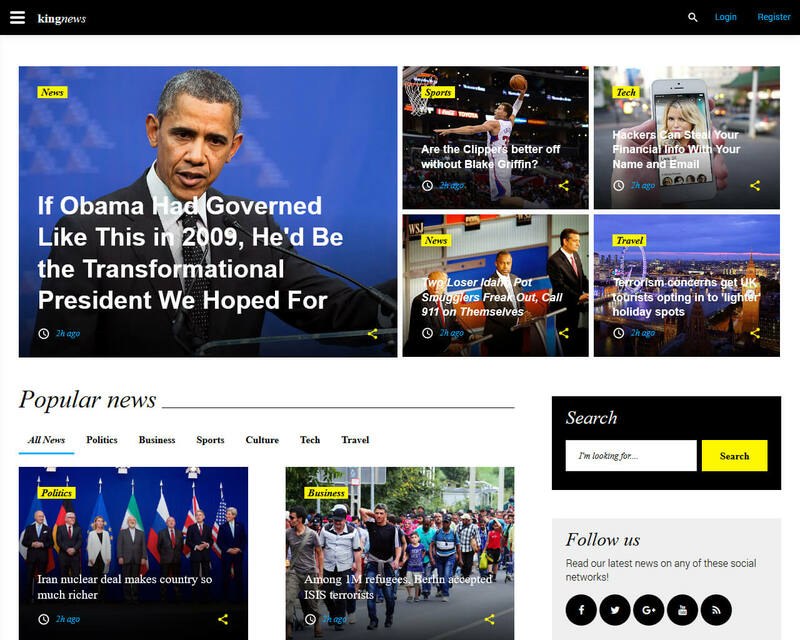 If you are looking for innovative, clean and modern news and magazine theme, the Newshub is highly-recommended. This template is best for posting an image, video, audio, quotes, and links. It features 4 different types of post slider, 2 styles post detail page, 4 homepage layouts, 3 footer styles, 3 header styles, 10 plus inner pages and 3 footer styles. This template can help you build and customize your blog according to your needs. You can easily attract your audience with the help of the templates creative and smart elements. Other functionality will make sure that you get a smart choice. The Newshub template includes share blog posts on Facebook, Pinterest, LinkedIn, Twitter, Tumbler and Google Plus. Your choices of colors for your site layout is also unlimited. Other amazing features include child theme example, custom Instagram widget plugin, social media icons in header and footer, SEO optimized, clean and commented code, full and boxed width layout, RTL ready and a lot more. 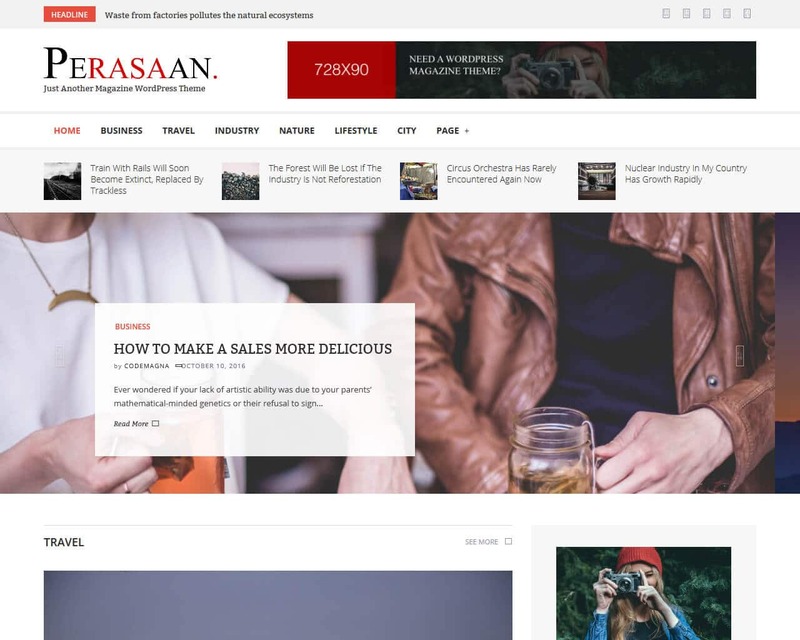 Perasaan is a magazine and personal blog template with a simple and clean theme which makes it look so clear and beautiful. The template includes 13 custom widget, support page builder, support redux options framework plugin to build an enticing website. Changing color and setting your site is easy because of its fully responsive design. It offers 9 skin color with light or dark style. Your visitors can access your website from any device without any problem. Opening your site on various screen resolution is also possible. This means more traffic for your site and helps you get into the top of search engine. This template will help you build a news and magazine website fast and easy. You don’t have to start from scratch since it includes ready-to-use templates. Adding information and details is also easy, you don’t need technical skills to do it. With the help of the Perasaan template, you can launch your website right away.